Steven Gerrard or Stevie G as he’s widely known as an English professional footballer played for Liverpool FC (1998-2018) and now works as a coach. In an illustrious career, highlights included winning the European Cup in 2005/06 and two FA Cup winner’s medals. Born in Whiston, Merseyside on the 30th May 1980, Gerrard was born and brought up in Liverpool and is lucky enough to have played for his beloved club who he supported as a youngster for his whole career. Gerrard started out playing for hometown team Whiston Juniors, where he was noticed by Liverpool scouts and he was picked up and was playing for the youth academy at the age of 9. However, a serious injury while playing football with his friends could have ultimately ended his career before it begun. 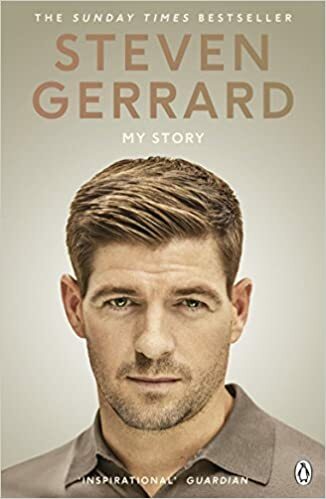 A young Steven Gerrard kicked his football into a bush full of nettles and tried to kick it out but accidentally kicked a garden fork which ended up going through his trainers and straight into his big toe. The doctor who Gerrard went to see said that he thinks he might have to get his big toe off but thankfully for him and English football, physiologist Mark Waller said he didn’t need to, and one of the greatest English Footballer’s for generations was allowed to come through the Liverpool ranks. Despite never making it for England schoolboys, Liverpool never had any doubt in Gerrard’s ability and he signed his first professional contract with Liverpool on 5 November 1997. It did, however, take him a year before he made his debut as a last minute substitute for Vegard Heggem on 29 November 1998. He then went on to make 13 appearances that season. Two years later Gerrard was making leaps and bounds and made his international debut against Ukraine on 31 May 2000. That summer, he was called up for Euro 2000, making only one appearance as a substitute in a 1–0 win over Germany before England were eliminated in the group stage. Although he didn’t shine in that competition, it was clear that Gerrard had a bright future on the international stage. 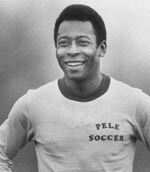 Growing up, he had many injury problems mainly with his back and groin. His troublesome back problems stemmed from a growth spurt which turned quite a small-framed boy into a 6ft 1 teenager. Gerrard scored his first international goal in a 5–1 victory over Germany in a 2002 World Cup qualifier in September 2001, and as these ongoing injury problems were plaguing his development, they were also hindering his international career, and while England qualified for the World Cup, Gerrard was forced to pull out of the squad due to his ongoing groin problems. Gerrard’s own lionesses, wife Alex Curran and daughters Lily-Ella and Lexie keep him level-headed off the pitch. Gerrard married his childhood sweetheart at the Cliveden mansion in Buckinghamshire on 16 June 2007. Initially, he was rejected by Alex when he asked her out for the very first time, as he thought he would get his friend to ask her for him and she replied, “If he wants to ask me out he can do it himself”. With the ever-growing Gerrard a recognised world-class performer he even has many personal accolades to go with this claim. He has won several awards – the PFA young player of the year in 2001, the most valuable player in the Champions League in 2004-05 and PFA player of the year in 2006. He came third behind Ronaldinho and Frank Lampard in the poll for the prestigious Ballon d’Or (European Footballer of the Year) in 2005. In December 2006, he was made a Member of the Order of the British Empire (MBE) in recognition of his services to the game. In the last five seasons, he has never failed to make it to the PFA Team of the Year. He received an honorary fellowship from Liverpool John Moores University on 26 July 2008 as recognition for his contribution to sport. After eleven years in the first team growing in stature as he gets older he has recently made his 500th appearance for Liverpool and manager Rafael Benitez says he thinks Gerrard could go on to make another 200 or 300 appearances for the club. Although Gerrard’s loyalty seems unquestionable, there have been difficult times where he has had to think about what would be best for his career. After a trophy-less 2003–04 season, Gerrard was linked with a move to Chelsea during the off-season. He admitted he was not, “Happy with the progress Liverpool has made,” and that “for the first time in my career I’ve thought about the possibility of moving on.” In the end, Gerrard turned down a £20 million offer from Chelsea to stay with Liverpool and new coach Rafael Benítez. This turned out to be a good decision as the new manager’s first season ended with a UEFA Champions League trophy, and although Liverpool finished 5th, a memorable victory over A.C Milan after coming from 3-0 down meant that Gerrard had his hands on the most prestigious trophy in club football. Gerrard scored in this game to begin the comeback and he rallied his troops to complete a memorable comeback. In 2006 Gerrard scored one of the most amazing goals that will ever be seen in a Cup final, in the F.A cup against West Ham. 93 minutes in, 3-2 down, after already scoring one, Gerrard scores a screamer from 35 yards and pulls Liverpool level, then proceeds in scoring a penalty in the penalty shootout and helping to win the F.A cup for his beloved team. Gerrard’s inspirational performances are down to hard work and his own inspiration, cousin, Jon-Paul Gilhooley, who tragically died in the 1989 Hillsborough disaster when Gerrard was just eight years old. His cousin’s family drove him on to become the player he is today. 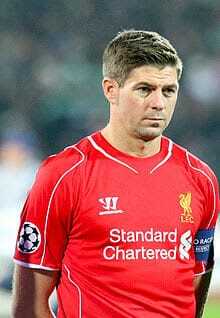 At the end of the 2013-14 season, Gerrard had made 475 appearances for Liverpool F.C and scored 111 goals. The 2013-14 season was also one of the most successful for Liverpool, though they ended up losing first place in the Premier League after letting it slip in the last couple of games. After receiving 114 caps for the England senior team, Gerrard retired from the national team after the 2014 World Cup, where England were knocked out in the qualifying round. In 2015, Gerrard played his last game for Liverpool – retiring from the English Premier League. He moved to Los Angeles where he played two seasons for LA Galaxy. In 2017, he moved back to England to take up the role of coach at Liverpool F.C. Biography By: Rufaro Fielding 14/12/09. Last updated 18 February 2018.